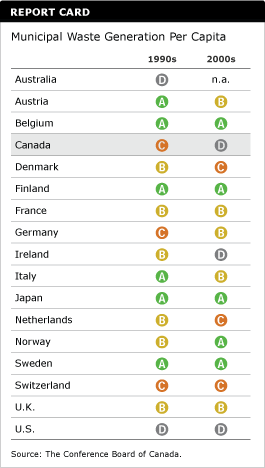 The Conference Board of Canada gave Canada a C grade on Thursday and ranked it in 15th place among 17 developed nations studied across a host of environmental-efficiency metrics. Canadians use 1,131 cubic metres per capita of water per year. The only country that uses more water is the United States, which consumes 1,632 cubic metres per capita. 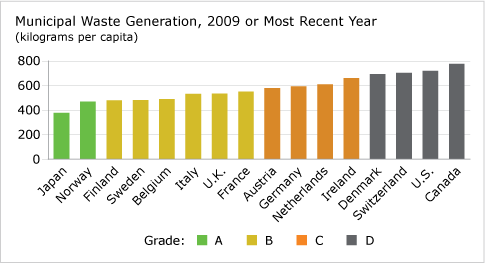 Compare the change in Canada’s municipal waste generation with Sweden.